Edward’s family has been going to the beach each year for the last few years! When Edward and I were just “talking” (you know, that awkward in between time where you’re both a bit interested but haven’t talked about it), he invited me to come to Hilton Head with his family! We still laugh about that since we weren’t even positive if we were really interested in each other at that time, but after that trip we started going out! That was 3 years ago, and since they we’ve kept going on vacation with his family each year during the off-season! This time we spent a few nights in Charleston! 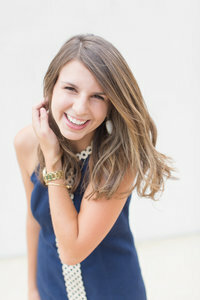 So when we were making plans for this year’s family trip to Charleston, I knew I wanted to slip a session in there!! And I’m SO glad I got to spend the morning with Leah and Jacob!! 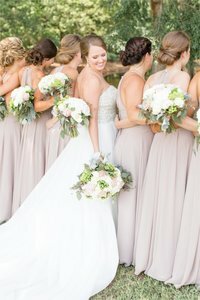 While it might seem scary to have an engagement session in January, it was the most beautiful weather I’ve ever had for a Charleston session! We also started before too many tourists were at the house yet, so things went smoother than I could have imagined!! 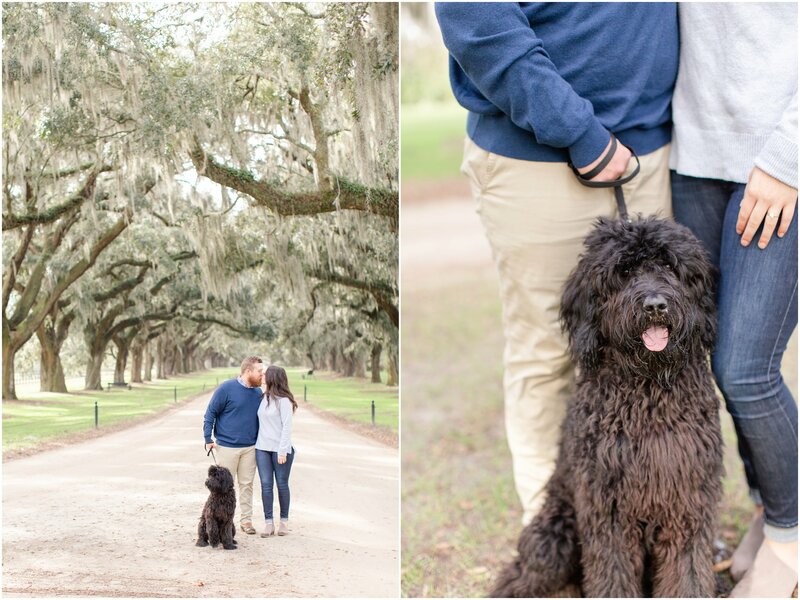 Leah and Jacob are so sweet, AND they brought their black Goldendoodle, Georgia! When couples ask if they should bring their pup, the answer is always YES! 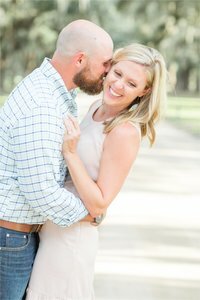 She’s their baby, and we loved going around Boone Hall Plantation finding the dreamiest spots! 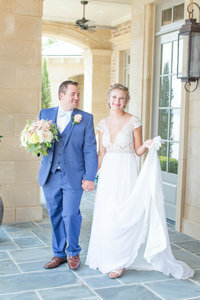 These two have known each other several years, but reconnected a couple years ago! The timing was perfect, and they got engaged last December! 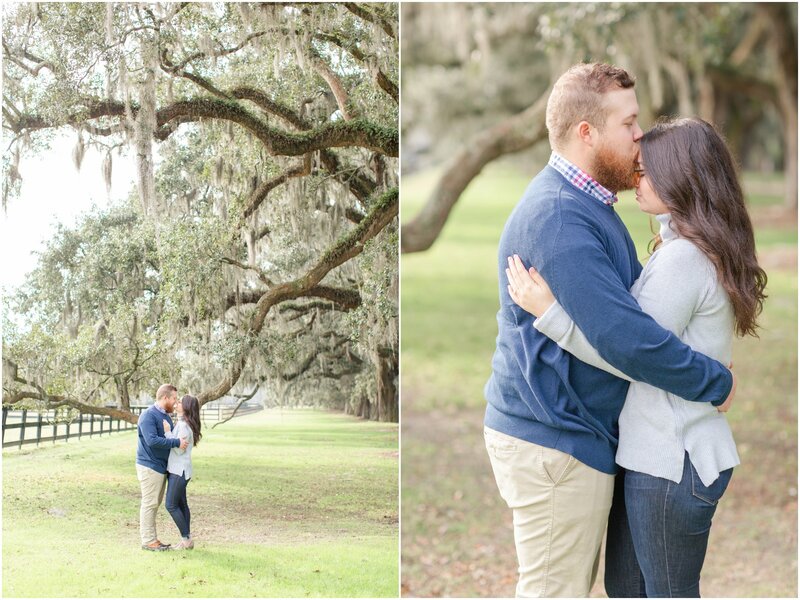 Leah and Jacob, thank you for coming to Charleston for your Boone Hall Plantation engagement session!! 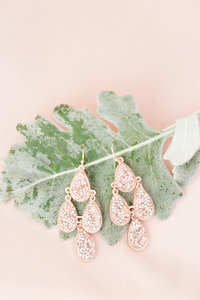 It’s absolutely a favorite, and you two are a dream couple! !